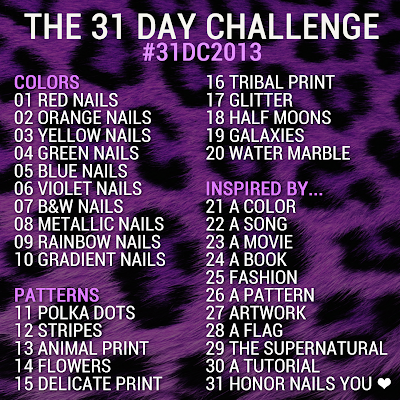 I made it to day two! That deserves a drink, donchya think? And what's better than L'Oreal's Boozy Brunch, a bright orange cream that leans a bit crelly. It makes me think bottomless mimosas, and Labor Day is the perfect day for a nice brunch with one of those. For this mani I used three layers of Boozy Brunch because it applied a bit streaky with some bald patches. It didn't even out really well either so a layer of NYC GCS was a must. 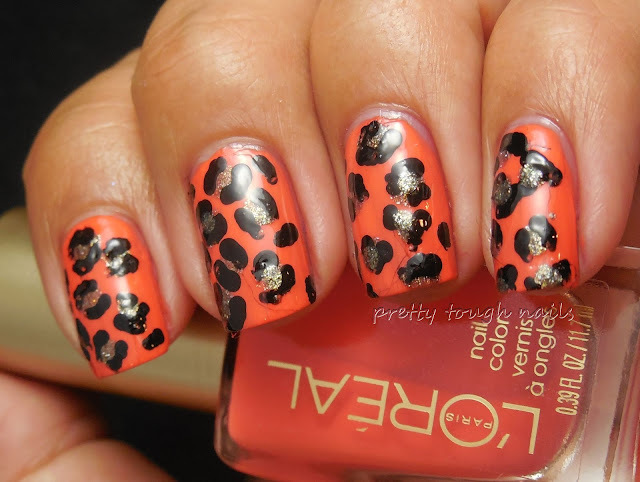 It seemed too plain jane on its own so I decided I'd try out freehanded leopard spots for the first time. Why I did spots and not stripes, I don't know - orange begs for tiger stripes. I used Jessica Smokey Feather for the silver dots and Wet 'n' Wild black cream for the outlines using a tiny dotting tool. Seems like I still need a bit of practice with those leopard spots, but they were easiest enough to do that I don't mind practicing them in the future. I really like the idea of unusual color combination to create the spots, and it provides a lot of opportunity for crossing off some untrieds on my list. 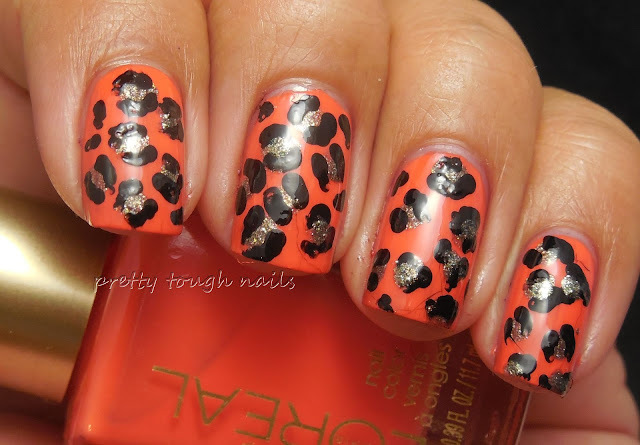 Do you have any tips for making foolproof leopard spots? 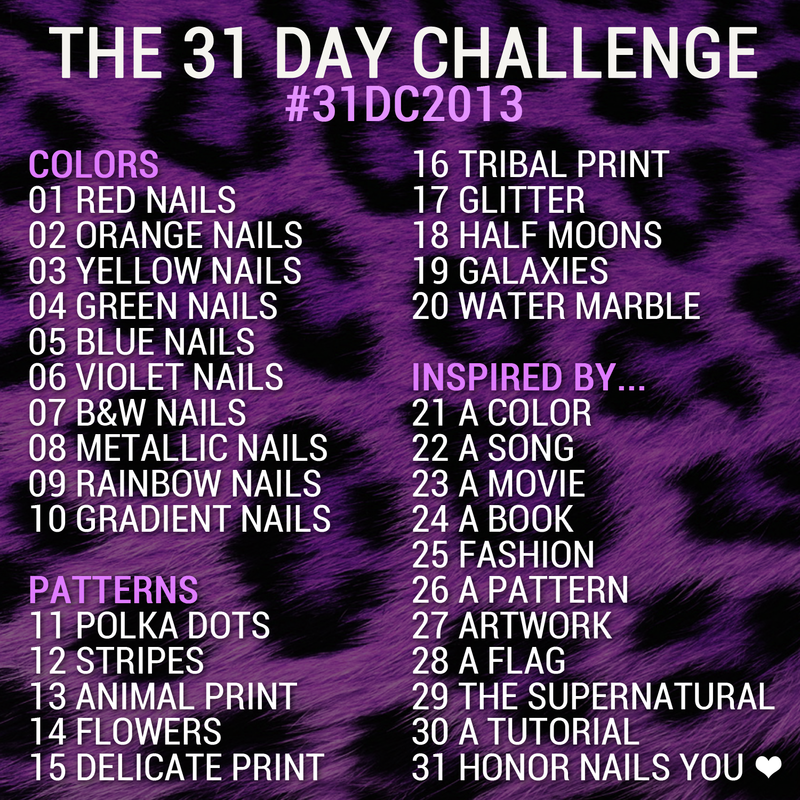 Please check out the other ladies orange manis for day 2 of the 31 Day Challenge! 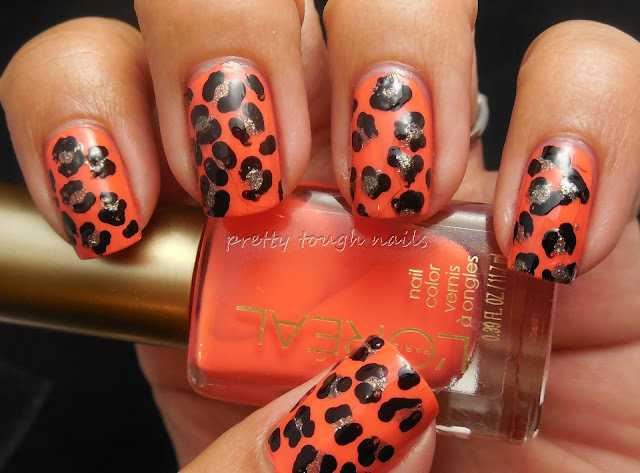 Applause and congratulations on your first freehand leopard mani, may there be many happy returns! thank you, thank you! I'm glad it didn't do any permanent damage to your vision!